FORT MEADE, Md. — Wearing his Army dress uniform, a composed, intense and articulate Pfc. Bradley Manning took “full responsibility” Thursday for providing the anti-secrecy organization WikiLeaks with a trove of classified and sensitive military, diplomatic and intelligence cables, videos and documents. In the lengthiest statement to a military tribunal Manning has provided since his nearly three-year long ordeal began, Manning, 25, said WikiLeaks did not encourage him to provide the organization with any information. But he also sketched out his emotionally fraught online interactions with his WikiLeaks handler, a man he knew as “Ox” or “Nathaniel” over Internet Relay Chat and Jabber, and whom the government maintains was Julian Assange. Manning’s motivations in leaking, he said, was to “spark a domestic debate of the role of the military and foreign policy in general,” he said, and “cause society to reevaluate the need and even desire to engage in counterterrorism and counterinsurgency operations that ignore their effect on people who live in that environment every day.” Manning said he was in sound mind when he leaked, and so deliberately, regardless of the legal circumstances. 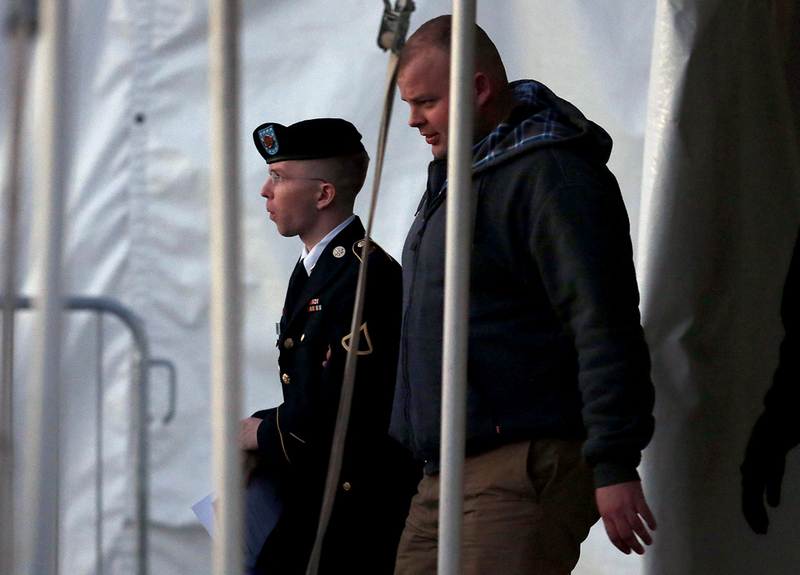 The statement came as Manning pleaded guilty on Thursday to ten of 22 charges the Army has levied against him. Manning admitted to improperly storing classified information; having unauthorized possession of such information; willfully communicating it to an unauthorized person; and other “lesser-included” offenses. Each of the ten offenses to which Manning pleaded guilty carries a sentence of up to two years’ imprisonment, for a total of 20 years in prison. But Manning pleaded not-guilty to 12 more charges, including the most serious: aiding the enemy, which carries a sentence of life imprisonment. He also denied disseminating any information that he believed could harm U.S. national security, a key aspect of prosecution’s espionage case. That means the guilty pleas will not necessarily end Manning’s legal woes. The government has the option of pressing forward with the remaining charges, as well as to contest aspects of the lesser charges Manning pleaded guilty to committing. If they proceed, Manning’s trial is expected to formally start here in June. Manning spoke for over an hour as he read from a 35-page document detailing and explaining his actions that drove him to disclose what he said he “believed, and still believe… are some of the most significant documents of our time.” He rarely grew emotional, with the exception of describing his alienation from his fellow soldiers in Iraq and his relationship with Julian Assange. Manning described accessing, investigating and ultimately spiriting away and leaking military and diplomatic documents as consistent with his training as an intelligence analyst, attempting to put together a factual picture of complex events. He came to view much of what the Army told him — and the public — to be false, such as the suggestion the military had destroyed a graphic video of an aerial assault in Iraq that killed civilians, or that WikiLeaks was a nefarious entity. The leaking came gradually, Manning explained — providing a window into the military’s poor data hygiene. While serving at Forward Operating Base Hammer in Iraq in 2009, Manning accessed, compressed and copied databases containing voluminous accounts of military activities in Iraq and Afghanistan, known as CIDNE-I and CIDNE-A. “I never hid the fact that I downloaded copies of CIDNE-I and CIDNE-A” and burned them onto CDs, Manning said, even labeling and storing them “in the open” in his unit’s tactical operations center. Nor did he hide that he also downloaded compression software to facilitate the transfer, Manning said. That practice apparently made it less conspicuous for Manning to take the burned discs into his military housing, insert them into his personal laptop and send them securely to WikiLeaks’ password-protected online dropbox, often using Tor and other anonymity protocols to mask his identity. Manning stated that he used the same process to spirit away information on detainees at Guantanamo Bay; unspecified documents from an “intelligence agency”; and the State Department’s “Net-Centric Diplomacy” database of diplomatic cables to which the military had access. In each of these cases, Manning denied that he was compromising national security. The military activities in Iraq and Afghanistan were often “historic,” with its intelligence value perishable after “48 to 72 hours.” The Guantanamo Bay documents had “no useful intelligence” and did not disclose any results of detainee interrogations. The State Department cables were available to “thousands” of people throughout the government. A Washington Post reporter, David Finkel, had already written about a deadly Apache helicopter attack in 2007, in which civilians were killed, that Manning viewed on video. But Manning conceded that he did not “even look at the proper channels” on how the military chain of command could release the sensitive information. While in Iraq, Manning — alienated from his fellow soldiers – began visiting WikiLeaks IRC channels and conversing about topics ranging from Linux to gay rights. The chats “allowed me to feel connected to others, even when I was alone,” soothing the emotional stresses of deployment. But when Manning took a brief mid-tour leave from Iraq in January 2010, he was grappling with disclosing his information trove — but not necessarily to WikiLeaks. While staying with his aunt in Potomac, Md., Manning said he tried to talk to an unnamed Washington Post reporter to interest her in the Iraq and Afghanistan documents, but “I did not believe she took me seriously.” He left voicemails with the public editor and the news-tips lines for the New York Times and heard nothing. A blizzard, he said, kept him from driving to Politico’s office to discuss the documents. According to Manning’s account, only after his attempts to give the documents to mainstream media organizations fail did he consider giving them to WikiLeaks. The leaking began in February 2010, shortly before Manning returned to Iraq. Via Tor at his aunt’s house, he uploaded to WikiLeaks a document he composed for the Post about events in Iraq he said he hoped would lift “the fog of war.” Although WikiLeaks didn’t immediately publish it, Manning said he felt “a sense of accomplishment” by the time he went back to Iraq. 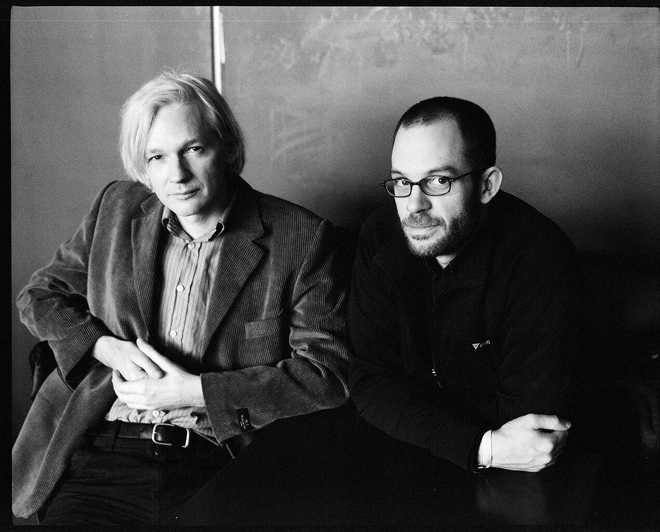 Only after Manning gave WikiLeaks the video of the Apache assault in Baghdad shortly thereafter did he start to hear back from someone in the IRC using the handle “Ox.” He believed that Ox was “likely Julian Assange” or Assange’s then-second-in-command, “Daniel Schmitt” — the German activist Daniel Domscheit-Berg. Shortly thereafter, Manning encouraged Ox to use a different handle to contact him, “Nathaniel,” after the author Nathaniel Frank. Manning said his ensuing discussions with “Nathaniel,” often about the classified material, became friendly, enjoyable and long. “I could just be myself, free of any concerns about social labeling in real life,” Manning said, his voice catching at times. The online interactions seemed to make Manning’s relationship with WikiLeaks at once intimate, and remote. For all his long discussions with “Nathaniel,” Manning on Thursday mispronounced Julian Assange’s name as As-SAN-gee. But Manning said that no one at WikiLeaks ever encouraged him to leak — which may be significant, if the U.S. government is, as rumored, considering charging Assange in connection to the leaks. He said he took “full responsibility” for a decision that will likely land him in prison for the next 20 years — and possibly the rest of his life.